Technology has taken extensive and unexpected interests in driverless vehicles and modes of transport. This interest began a few years ago and huge milestones have been covered, objectives set and goals have been achieved. Just the other day, driverless car trials were being carried out. Today, many of these driverless cars have been engineered and set to enter the human transport world. With this type of advancement, a fleet of driverless pods or cars have been said to leave Oxford and are making their way into London. This is a test to the functionality of these cars with minimal human intervention and is expected to go through subways, other urban streets including motorways till they reach London where the finish line is. Humans are quite observant and work by identifying possible new routes in case of traffic, consider the different elements on the road including people, joggers, children, motors etc. we are all asking how a driverless pod is able to determine all of this factors and ensure that you arrive safely. However, these cars are able to communicate, check out for hazardous and dangerous situations and react automatically. This has been evidenced by the driverless pod named Harry that was driving at around 15mph coming to a sudden stop due to a jogger passing right in front of it. Apart from saving the joggers life as witnessed by the passenger, Harry made no commotion and after the jogger moved away, it resumed its travel. This is a touchy subject when it comes to comparing human driving and driverless car or pods. It is apparent that many will oppose the introduction of such technology dependent on their conceptions and misconceptions while others will embrace the change automatically based on the pods being safer than human drivers. According to statistics, quite a large number of people lose their lives in road accidents making human driving dangerous while autonomous driving is said to be safe. Automatic vehicles began early in the previous years wherein the second stage, the driver’s functionalities when driving became automated and driving was made much easier. The third stage came just the other day when the driverless cars were allowed to venture into specific roads and motorways with a ready driver to take charge if need be. 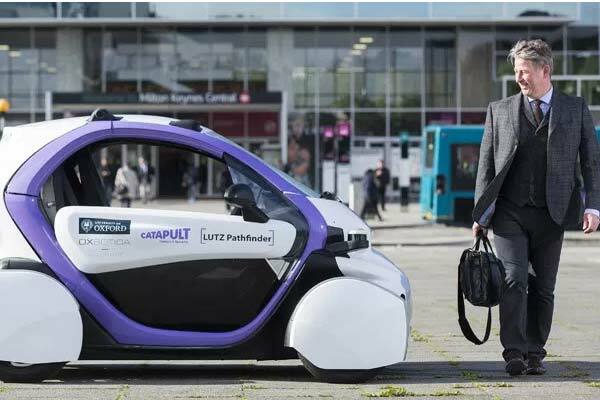 The Oxford to London driverless pod journey and race is in its fourth stage where the pods are driving themselves fully and with no driver assistance and picking passengers and dropping them along the way. It is hard to think of automatic and driverless cars competing with human drivers on the road. Investors are already moving to automation and technological advancement and soon, driving might become expensive than being driven by a driverless pod. The question lingering on many individual’s minds is if driving your own or any vehicle is going to be banned, sectioned or moved to specific areas of the country, city or continent. Furthermore, it is said that driving is about to become one of the luxury pursuits that people will be seeking in the near future. Moving back to the past, people didn’t think that vehicles and cars will one day outrank chariots and horse-drawn vehicles. Similarly, according to Gus Parks, driverless vehicles will soon outrank and outdo human driving. The founder of Exbotica who is standing in and running the Oxford London journey by the driverless pods claims that people should be thinking of the change and how the governments and other authorities will be able to control driverless and human driving. Compared to statistics, authorities are prone to inducing and implementing better laws and regulations aimed at saving people’s lives. However, the availability of safer options means that human driving will be banned, may be decommissioned or controlled. This will be aimed at offering better and safer public transportation. Organizations are also facing a huge challenge and once the ban is issued, then many companies are bound to lose their revenues. It is about time that they take to other avenue and think beyond their current car productions and launches. This is mainly due to the fact that driving is expected to decrease which means individual interests in driving personal vehicles will also dwindle with time. Driverless vehicles are the next big thing and the presence of companies such as Uber who have pulled their resources and revised transportation modes. It is evident such companies are bound to work out in the future especially with driverless pods and vehicles in the market. It is now a short while before driverless cars take over and the only challenges that are remaining are not in the engineering departments but with the politics and social attitudes of individuals. It can be estimated to around a single decade before they fully take over the market. Furthermore, they are expected to be safer, faster and highly efficient. Do not forget environmental friendly and way cheaper compared to human driving. The question that remains at the very end is why not pursuing the future and all its benefits?